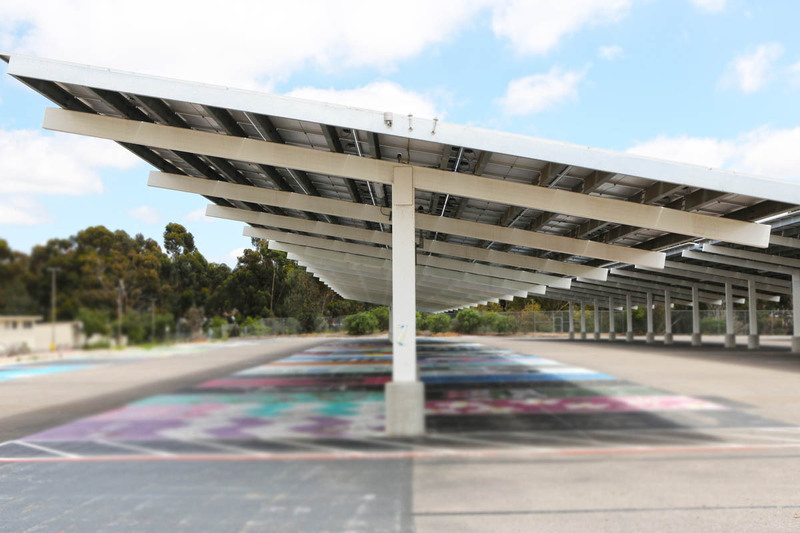 The was one of the earlier school projects in San Diego and part of multiple projects totaling roughly 5 megawatts. We integrated the school science departments into the project and they held regular site visits with students and walked the project to learn about the process. The San Diego Unified School District is expected to save between $13 – $20 million over the warrantied system life. System has been operational since Q1 2012. 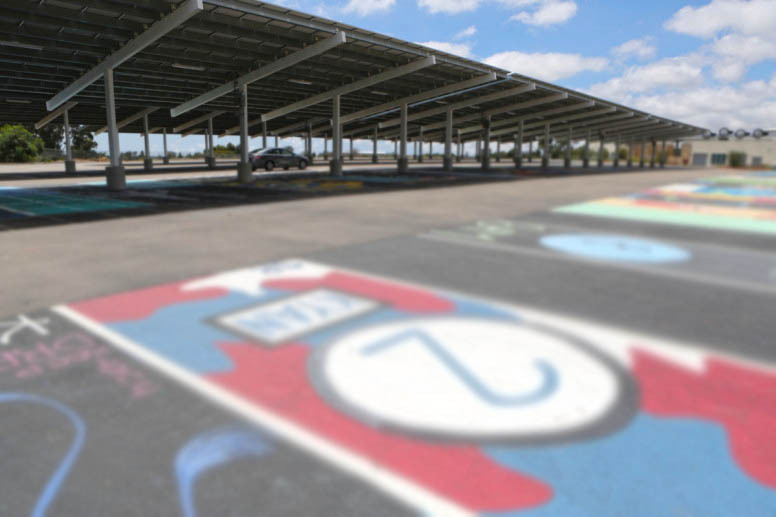 8500 solar panels covering carports over 7 different parking lots. This project was built while school was in session adding to the need for a detailed plan and execution. 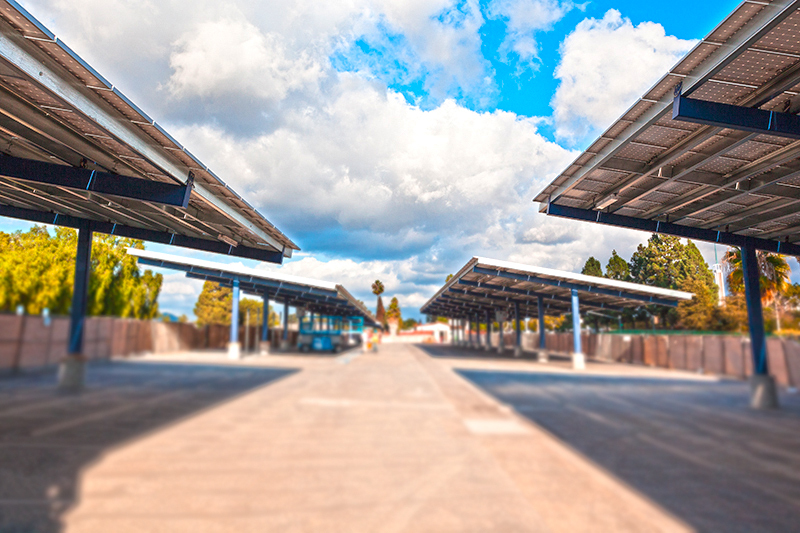 It is the largest carport project completed in the SDGE territory. This was also one the first crane in place projects in the world, which saved both the budget and the schedule. Carports covering 80% of the school parking lots. Steel structures are rust proof and were weather proofed with paint to match the school colors. Scripps staff was very excited about the project as it reduced the schools operating expenses and opened up funds for other more important things. 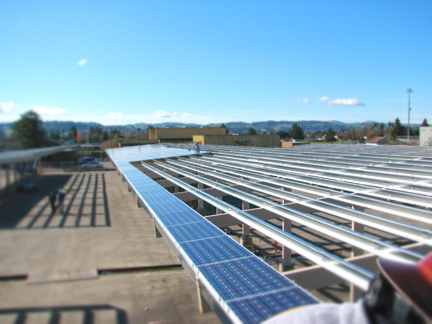 1 of 8 projects started simultaneously for the Sweetwater School District. We provided the manpower and construction management for the projects, as well as consulting on the constructability review where we identified time and cost saving prior to breaking ground. 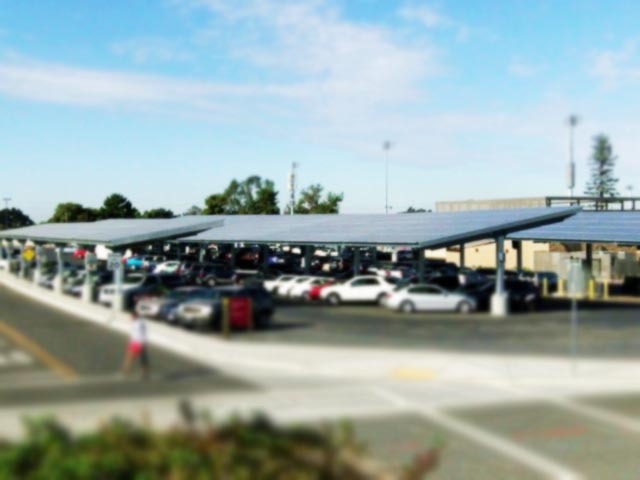 Carport system providing shaded parking as well as energy cost savings. This project was completed 2 months ahead of schedule. The school will realize savings in the millions over the warrantied life of the system.